B0939. 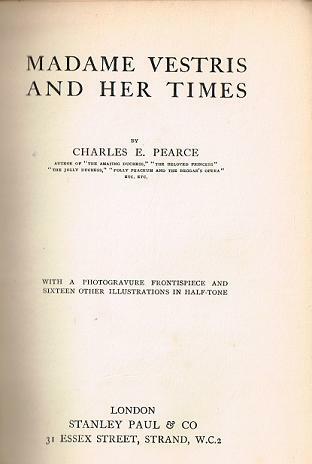 Charles E. Pearce. Madame Vestris and Her Times. London, Stanley Paul, 1923 (First Edition). 314pp. Index; Photos; illus. Excellent copy of this original edition has sl.stained covers - certainly worth re-binding.